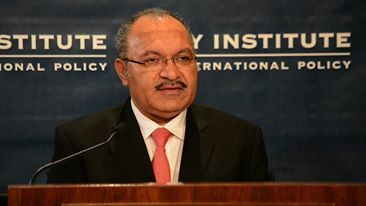 Prime Minister Peter O'Neill has commended Papua New Guineans for celebrating Christmas in its true spirit. Mr O'Neill says he's impressed the festive season has been celebrated peacefully so far, unlike previous years. He says, reports from districts have described a peaceful celebration of Christmas. He also commended police for their efforts to maintain community safety during the festive period. Mr O'Neill again called on Papua New Guineans to take care on the roads. The Prime Minister says, one of the biggest concerns continues to be road safety, particularly after recent traffic accidents.